How to orient a flat shape parallel to main axis? Hello! I have a flat shape that i create it by unfolding a 3d shape. 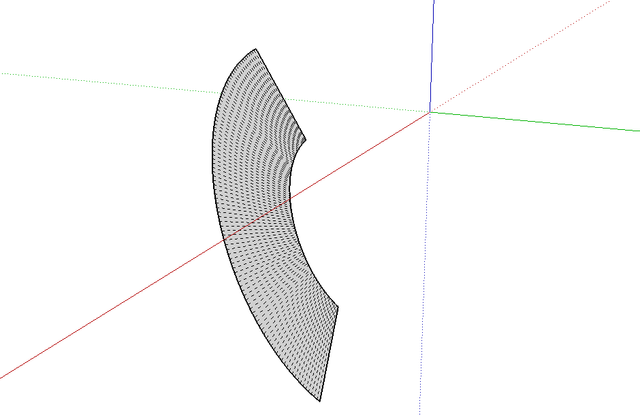 How can i rotate the final flat shape and make it parallel to the one of the three main planes? Is there a quick way to do it or i have to use the rotate tool as many times as necessary? Re: How to orient a flat shape parallel to main axis? It should only need 2 rotations, three at the most. Box wrote: It should only need 2 rotations, three at the most. You can make it easier to see how to rotate a shape by drawing a flat plane to work on, make it a group so you don't stick to it.